Apple’s is far and away the leading smartwatch brand according to the latest NPD data, so what business opportunity does the device offer to your enterprise? You have to think a little about what success means for your business. There are different ways to measure it. When it comes to Apple Watch, we’ve seen dozens of watchOS apps appear and disappear since its launch, but I don’t believe that the business opportunity is defined entirely by the fate of consumer-focused apps. I think it is worth asking if your business can make a business proposition from the location, activity, biometric and collaboration features the Apple smartwatch provides. One good example of how these features can be used to realize a business proposition can be seen in the health sector. I’d argue that health insurance firms are at the current cutting-edge of realizing the business opportunity of the device. These health-related deployments use a combination of location, activity sensors and Apple’s own Health app to achieve their business outcomes. The move to combine activity monitoring with lower premiums for lower risk clients is good business for everyone – people get lower charges, enjoy healthier lifestyles and lowered risk. Apple sells watches, insurers sell insurance, and consumers benefit from lower prices. Drinks all round! (Just don’t tell my watch). 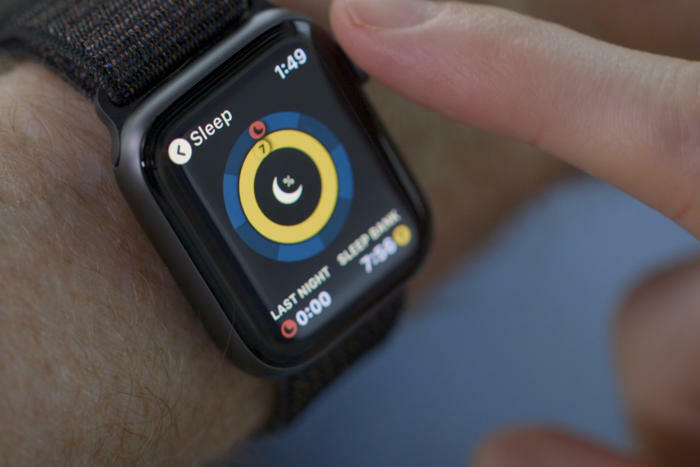 There are a variety of enterprise-related systems using Apple Watch location, collaboration and messaging, and (in some cases) activity sensors to help their business grow. Enterprises including Capital One, SAP, Salesforce and IBM all provide quick to access collaboration and information management tools for the device. The latter provides watchOS apps for hospitals, law enforcement, public safety and field service engineers. In each case, enterprises secure efficiency and productivity benefits by ensuring workers have near immediate access to the information they need to get things done. The fintech sector is one of the most vibrant tech sectors around, one in which the maxim is that services must be ubiquitously available where people are. With this in mind it’s little surprise the sector is also — slowly — exploring the potential of the device. Apple Pay lets you purchase items, but apps like Mint or Robinhood go further and offer access to financial services. I think they are the thin end of an emergingly larger wedge. You see, I think the combination of iPhone-managed identity, privacy, location and activity sensors make Apple Watch a shoe-in for hyper-personalized financial services. This means access to financial services will eventually become as easy as ordering an Uber or hiring yourself a Scoot. As Apple works towards convincing governments that iPhones (and Apple Watch) can be used as proof of identity, there’s little reason not to predict that it will become possible to secure high-value bank loans with a few taps on your wrist. What about your business opportunity? What I’m trying to say is that Apple Watch as a platform offers a range of opportunities for imaginative business model based around its strengths. These aren’t confined to service industries, but also around enterprise efficiencies. The device’s location-related features have implications across multiple sectors from delivery services to beacons-based retail marketing and beyond. When those autonomous car sharing schemes become a reality, your smartwatch will be the tool that helps you hire, find, and start your car. It may even be your driving license, too. B2C and B2B enterprises should take a moment to consider which elements of their internal business processes and workflow may be enhanced through use of these technologies. They should also consider how to make their business accessible to users of the device and consider which elements of what they do can be made more available by creating an app for that. Can ticketing services offer gig merchandise discounts to concert attendees, or link up with ride-sharing schemes to safely and securely provide transportation? What can your business do on the basis of the secured, trusted, personal location, activity and identity services provided by Apple Watch? Prev With latest mobile security hole, could we at least focus on the right things?